The launch of the SkillsFuture Credit Roadshow, aimed to assist Singaporeans in taking ownership of their lifelong learning. At least 6,000 Singaporeans who are eligible for SkillsFuture Credit were in attendance at the two-day roadshow at Westgate Mall from 9-10 January. This week, the launch of the SkillsFuture Credit Roadshow organised by the Singapore Workforce Development Agency (WDA), aimed to assist Singaporeans in taking ownership of their lifelong learning. Prior to the commencement of the programme, it was announced that throughout the month of January 2016, all eligible Singaporeans who are aged 25 and above have received an initial credit of $500 which can be used to offset course fees, even after taking into account the course subsides given. Singaporeans received their account activation letters as well as a step-by-step guide booklet on the use of SkillsFuture credit. This Roadshow was thus organised with the aim to further assist Singaporeans, especially those who are less IT-savvy to better plan their learning journey. They will be able to find out more about the approved SkillsFuture Credit courses and how they can effectively use their credit –to achieve their skills training and career goals. More roadshows are expected to be held from February this year in various locations island wide. “Whether you are a graduate or someone with a master’s degree, or you started work straight after leaving school, it does not matter, SkillsFuture empowers all of us to go further. 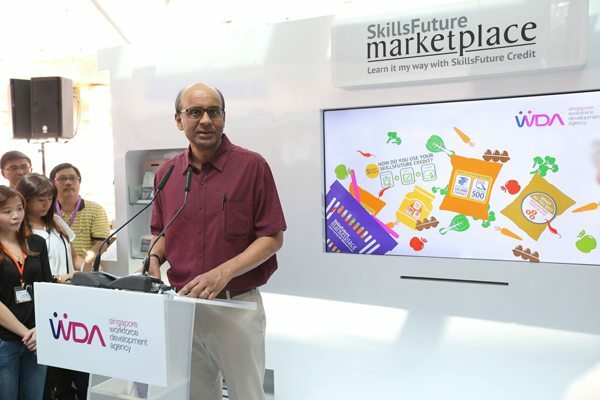 And to renew ourselves as we go through life.” said Deputy Prime Minister Tharman Shanmugaratnam at the launch. All in all, this national movement aims to assimilate training and career progression in hope that Singapore’s prospective workers have hard, technical skills to acquire jobs and stay employable. SInce learning is a lifelong process, this initiative is rolled out in hope that it will empower every Singaporean to plan their education and training into their working life.